Hello, everyone!! Lisa here to share a couple of cards with you today featuring the Snowflake Penguin Rubber Bundle 868-913P20 stamp set. 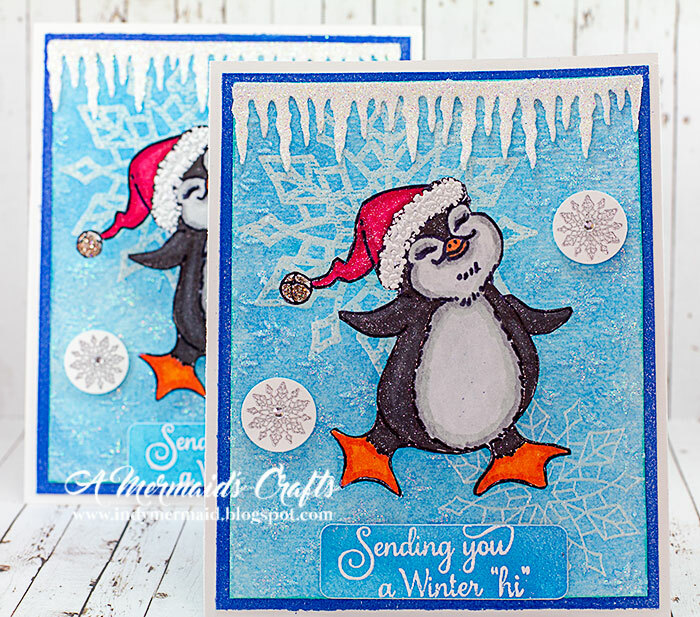 You can see the full tutorial including a list of supplies for these cards HERE. Thanks so much for stopping by!! OMGOSH… Look at how CA-UTE that penguin is!!! ADORABLE cards!! !